Do you think that famous rappers like Jay-z care about the fuel consumption of a car? Well no, and that’s why today i’ll show you a youtube video with one of Jay-Z’s driving songs, Lost One ft. Chrisette Michele, where you can also see a masked car commercial with a Maybach Exelero :D.
As i’ve said, famous rappers buy outstanding cars and this is also the case for Jay-Z who has a cool collection of supercars, muscle cars, sports cars or luxury cars. So yes, you all need some good car songs which you can listen to when driving and this Jay-Z – Lost One ft Chrisette Michele song is a good choice. If you check out the video for Lost One you’ll see Jay-Z driving a 700 horsepower Maybach Exelero which has an acquisition cost of 8 million dollars; Yeah, the price tag is huge but the Maybach Exelero’s top speed is clocked at 200 mph or 320 kmh! When it comes to care of cars, this luxurious Maybach is quite expensive to own, you can go bankrupt with it! The Maybach Exelero’s fuel consumption goes at about 2.5 mpg or you can do 1 km with 1 liter, do the math, it’s about 100 liters/100 km! Just listen to that beautiful engine sound when it starts!! 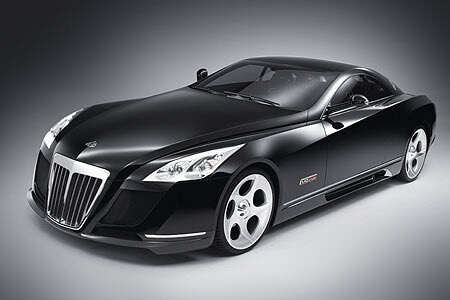 Imagine a car crash with a Maybach Exelero. You’ll be ruined!! Even if you don’t own a Maybach Exelero that shocked the auto world, at least you’ve got some good driving songs from my all about car care blog, Cheers :D! Previous articleHere’s a funny boat launch fail and another one! Learn how to launch & retrieve a boat, save your car! Next articleTest driver died while testing a Bmw prototype at top speed! Jaguar mocking Mercedes as always; Hilarious rivalry demonstrated with chicken commercials! Things you don’t know about the iconic A-Team van! Where did all the General Lee Dodge Chargers go?